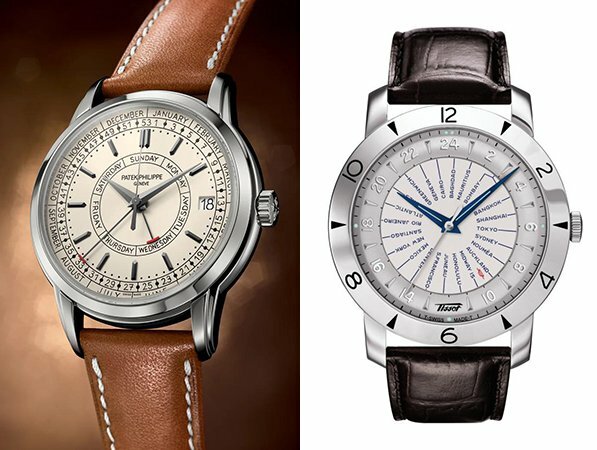 With Baselworld 2019 officially behind us, we now have a comprehensive look at the major releases from some of the biggest brands in the game. And while many a novelty from this year’s show have managed to impress, not all of them have been so lucky. Regardless, there are a few pieces from this year’s list of releases that are definite lookers, and also definitely out of most people’s budgets (or, indeed, reach, depending on availability). As such, we’re going to take a look at FIVE of this year’s releases, and watches that offer similar looks and functionality, but in a much more attainable way. 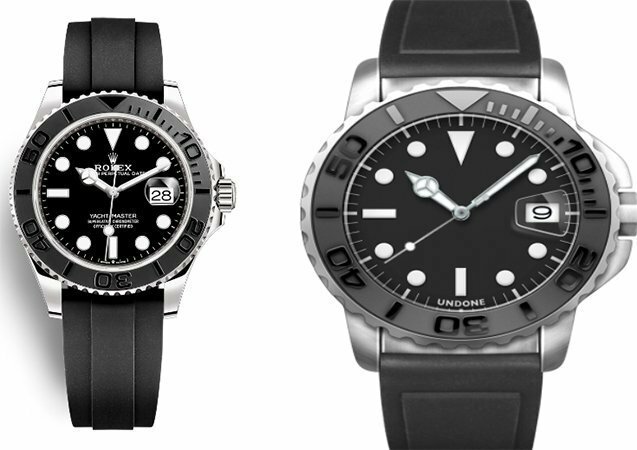 This year, Rolex released a new model into their Yachtmaster family – the Yachtmaster 42. The watch, as the name implies, comes in at 42mm in diameter, and is cased in a white gold case. The bezel insert is ceramic but, more notably, does not feature platinum filled markings like on the other ceramic bezels in the Rolex line. This one is taken right from the Everose Gold Yachtmaster 40, and features raised, tone on tone markers instead. It also comes on an Oysterflex bracelet, Rolex’s only rubber option. By contrast, the Undone Aqua is a watch that, in actuality, is fully customizable. I’ve included the model I designed above to show just how close you can get to the Yachtmaster 42 for a significant savings. The major difference, aesthetically, is the case’s shape and size, being 45mm in diameter, and much closer to something like a Panerai in shape than an Oyster case. Everything else can get almost eerily similar, especially when you consider the fact that Undone was producing this bezel execution long before the Rolex counterpart. Overall, for those looking for a big, beefy, but understated in design diver, this is definitely the way I’d go. Tudor’s Black Bay Bronze range has been a fan favorite since its introduction. Though it has received criticism for its size (43mm in diameter), the watch is still a classic example of a funky diver in a funkier case material. This year, the brand introduced a new color variation to the line in the form of a slate grey dial and bezel. Though otherwise identical to its previous iterations, this new form of Black Bay Bronze offers something a bit more classical and subdued in its presentation that, for a chunky, bronze diver, is definitely well earned. Spinnaker, on the other hand, is relatively new to the bronze diver game. A well regarded micro brand by many collectors, the brand has specialized in interesting, generally non-homage diver watches in an affordable price bracket since its inception, and this Tesei Automatic, though on the brand’s higher end, still very much abides by that ethos. It features a bronze case, in the same 43mm as the Tudor, and a dark grey dial and bezel combination that plays against some of the tones found on the Tudor, but without attempting to copy it in any way. In fact, the dial pattern on the Spinnaker, a wave engraving, is much more reminiscent of the Omega Seamaster 300m than it is anything out of Rolex or Tudor’s lines. Featuring a Sellita SW200, the watch also marks Spinnaker’s first Swiss Made piece, further helping it stand out amongst the brand’s range, and making it a more than worthy alternative to the new Slate Grey Black Bay Bronze. This year, Patek surprised just about everyone, myself included, by releasing a Calatrava featuring a new complication, and then went ahead and decided to do so in steel. This is important primarily because the 5212 is the first modern day Calatrava produced in steel in regular series for the brand (all others in recent years have been limited editions). The weekly calendar complication is a relatively straightforward one in that it adds to the traditional day and date by showing the week of the year that one is currently in. The dial’s typography is, according to Patek, modeled after the handwriting of one of the watchmakers who worked on the project. It features a calf strap, rather than the dressier, and more traditional alligator or crocodile, to help further bring the watch down a notch or two in terms of situations in which it can be worn. The Tissot Heritage Navigator Automatic is, admittedly, not a calendar watch at all, but rather a multi-time zone watch. While this should, in theory, rule it out as being an alternative, it’s aesthetic choices, including the central ring of the dial, make it a very viable contender. It too comes in steel, and although it’s three millimeters larger than the Patek’s 40 at 43mm in diameter, its lug to lug measurement is a superbly compact 43mm as well, meaning it will wear impressively smaller than its nominal size might suggest. It also features some interesting typography to help make the whole thing feel a bit less staunch and formal, and thus capable of being worn in a number of contexts, especially if you swap out the strap for a more casual calf leather. 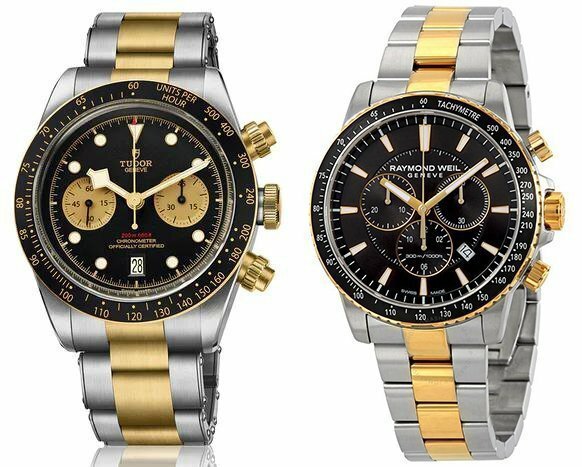 Tudor also expanded their Black Bay Chronograph collection this year with the Black Bay Chronograph Steel and Gold, a two-tone version of the existing Black Bay Chronograph. The only upgrades from that existing model are the new metal combination (steel and gold) and the inclusion of a black bezel with gold text. 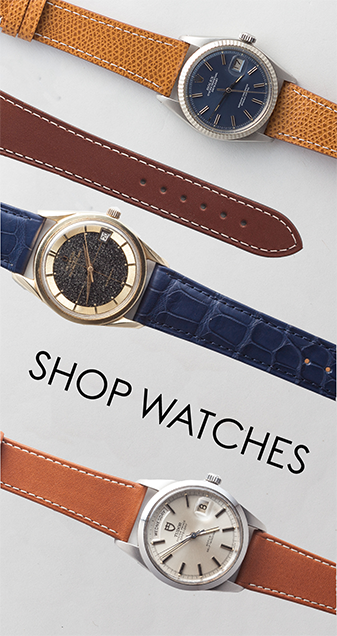 The most notable upgrade to me, however, is the inclusion of a brown leather bund strap as an option with the watch. However, the differences really do end there, though the choice to use full golden subdials, rather than a simple gold border, helps the piece stand out from many other two-tone chronographs on the market. That choice also made it difficult to find an alternative that really played up some of the new Black Bay Chrono’s funk. However, at roughly $6,000 less than the Black Bay, the Raymond Weil Tango in two-tone certainly hits on many of the same notes. It’s larger, at 43mm compared to the Black Bay Chrono’s 41mm, but it also features an added slimness thanks to its use of a Swiss quartz movement rather than a thicker mechanical one. Plus, Raymond Weil is one of the last true Swiss independents in the entry-level price range with some degree of history and pedigree behind them, so you’d be in plenty good hands going with this as an option. Patek has made a habit out of updating the Aquanaut line in some meaningful way every year for the last couple of years, and this year was no exception. 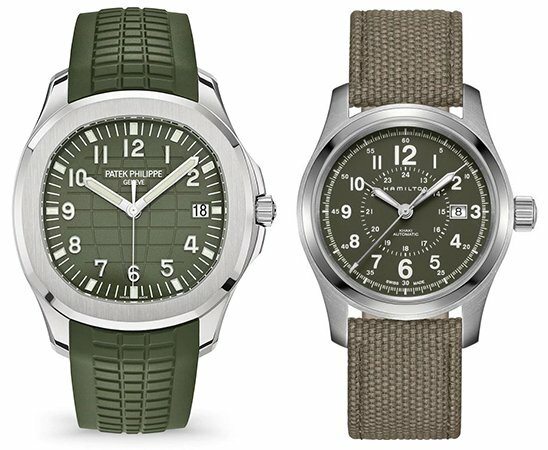 This year’s update came in the form of a new dial and strap color, khaki green, but not on the steel 5167 – no, Patek brought this new color combination over to the white gold 5168, a watch that received a blue dial in its most recent update. The white gold variations of the Aquanaut come in at 42.2mm in diameter, making them larger than the steel variants, but they’re otherwise much the same watch at their core. Hamilton’s Khaki Field line didn’t make it onto my list of Aquanaut alternatives, but only because it didn’t come stock on a rubber strap and I was trying to get as close as possible. However, the design of the watch, including its legendary thinness thanks to the ETA 2824 movement inside is very much on par with everything the Aquanaut represents. The green model shown above is a seriously similar piece to the new 5168g, down to sharing the same 42mm diameter. While the Khaki definitely has more going on on its dial thanks to its traditional “field watch” layout (featuring the 24 hour time inset at the center of the dial), it still retains the clean, bold Arabic numerals and lumed hands that help make the Aquanaut such a unique member of the Patek family. 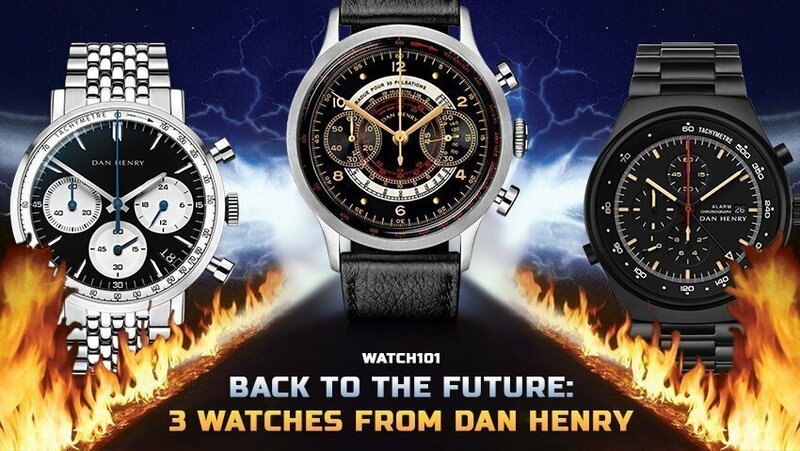 Alright, geeks, that does it for my alternatives to some of my favorite releases from Baselworld 2019. 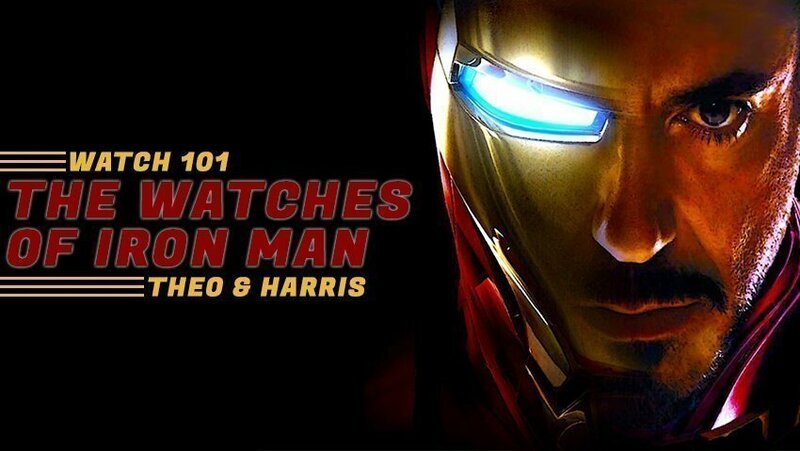 If you’ve got any pieces you’d like to see alternatives to, or any alternatives of your own, be sure to let us know and, as always, keep it classy, watchfam.